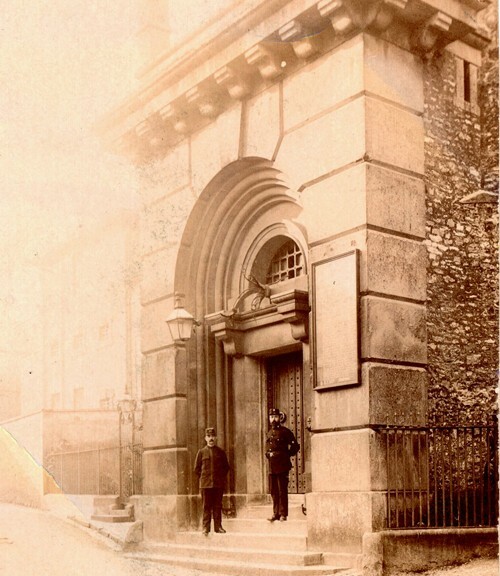 Ghostly Attention at Shepton Mallet Prison | Don't mention the M word! Shepton Mallet Prison has been dubbed Britain’s most haunted prison, even The Sun has splashed this headline. What happens next may be down to the stories or the ghosts of Shepton Mallet Prison itself, who may now be having their say prior to the property developer outlining in detail what they intend to do with those poor souls still buried at the site. Shepton Mallet Prison was closed to save money in 2013 by the Government, in its place we were going to have a super-sized prison. Now we have a prison service in trouble with inmate unrest, safety issues and low staff morale. Many argue the state of the current prison service is due to cuts in jobs and funding. In 2013 and 2014 official reports outlining future options for Shepton Mallet Prison were provided, however no specific research into the potential of Shepton Mallet Prison being a heritage attraction was done. Government planning guidance for historic buildings states that the optimum viable use isn’t necessarily the most profitable one. It is the one that is best for the conservation of the asset. A local solution through community-led business ideas for the prison, which included mixed use and a heritage attraction were discounted by the MoJ because the sale developed into a sale for four prisons not just Shepton Mallet’s ancient prison. The criteria of sale seem to align more favorably with a property developer’s business model. I believe this 400 year old building has an economic value to the town and the region while being a significant historic site. The heritage value was never considered, only building luxury flats was ever fully worked through. Even the limited parking didn’t seem to worry the decision makers – 146 homes (of up to 3 bedrooms) and only 150 parking spaces and what of access for the emergency services? I’ve been following the fate of Shepton Mallet Prison since its closure four years ago. I ran a community engagement campaign to encourage more people to have a say in the future plans of the prison. The town’s civic leadership were divided and this in my view has led to a confused debate around the future of the prison. The interest in the prison has never abated. More recently, following the doors being opened to the general public, I have seen local, regional, national and even international coverage of the prison. People have now had a chance to learn about the prison’s fascinating history from those who once ran the prison. Haunted Happenings run overnight ghost hunts at Shepton Mallet Prison almost every Friday and Saturday. These events take in the history as much as they do the ghostly activity here at this very paranormally active prison.